Disbelief was the reaction when Toronto saw the video of a police officer unloading nine bullets in a confrontation with Sammy Yatim, a distressed 18 year old wielding a knife on a TTC streetcar. The incident left the city numb. People protested in the streets. Constable James Forcillo was charged with second-degree murder. A preliminary inquiry is scheduled for April 2014. Ontario Ombudsman André Marin launched an investigation into police training. A family buried a young man. What else can a city do to deal with this tragedy? An answer comes from an unlikely place – the city’s arts community. 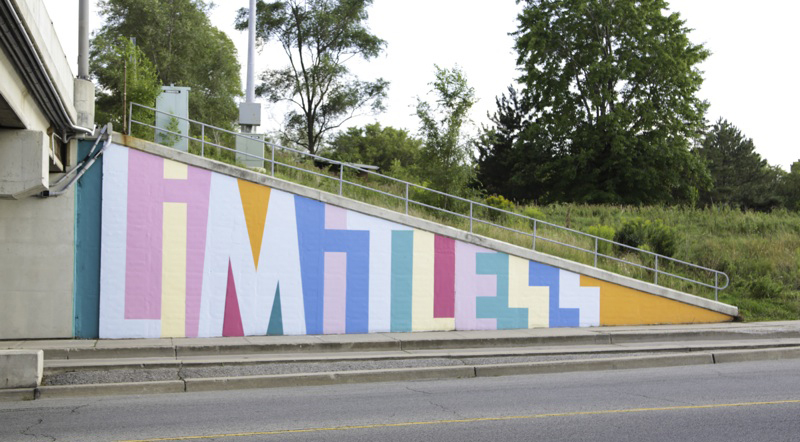 Arts Starts is a Toronto-based non-profit organization whose founding principle – to build bridges between people and communities – offers a starting point. The organization’s Managing Director, Liz Forsberg, and Myra Leibu, Special Projects Manager, describe a recent trip to the Tarragon Theatre to see the play The Valley. As part of our Platform A program, Art Starts staff accompanied a group of residents, community workers, and a community police officer from North York’s Lawrence Heights neighbourhood to see The Valley at the Tarragon Theatre in late 2013. Written by award-winning playwright Joan MacLeod and directed by Richard Rose, it is a timely play that explores the issues of mental health, the police, and the ways that we are equally alienated and connected to each other across our differences and similarities. It is based on the concept of the ‘restorative justice circle’ that asks everyone to sit together and retell a story from their own perspective. Our Lawrence Heights group was made up of six people who have been involved in Art Starts programs in different ways – six people with very different life stories. They are four women and two men. Two work in the arts; three have been to the theatre before; two are youth, three are parents; three work in community services, three are members of non-white groups; three currently live in Lawrence Heights; five work for or with the Lawrence Heights community; two have been involved with police services; two work in police services, which is certainly not evident at first glance. Everyone plays a number of roles in everyday life, but often the divide between how those roles are enacted and perceived is more complicated to overcome than everyday interactions permit. There are so many stories each of us could tell. 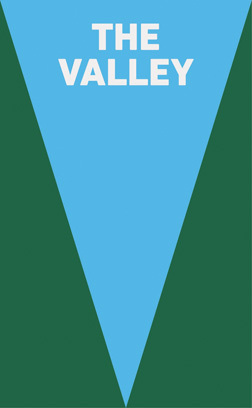 The Valley tells the story of a troubled 18-year old, Connor, who returns home to live with his mother after a difficult first few months at university. Following a police confrontation, he is arrested by Constable Dan on Vancouver’s Sky Train. The aftermath of the arrest illuminates the young man’s painful mental state as well as the officer’s fraught home life – his wife Janie is struggling after the birth of their first child. The play strikes a chord in a place like Lawrence Heights, one of Toronto’s 13 priority neighbourhoods, selected for improvement by the city. Designed in the 1950s and split in two by the Allen Expressway, the community has struggled with marginalization, isolation, and social issues such as low income and high unemployment. We traveled only a few kilometers from Dufferin and Lawrence south to the Tarragon Theatre at Dupont in the Annex but the cultural, historical, and economic spaces we crossed are more complex than the geographic landscape (a ravine, an avenue, train tracks) implies. These are spaces that hold countless stories and that can be bridged by telling the stories from multiple perspectives. After seeing the play, the Lawrence Heights group and twelve students from Central Technical School took part in a workshop organized by the Director of Education of the Tarragon Theatre, Erin Brubacher and Art Starts Special Projects Manager Myra Leibu. Participants were invited onto the stage for a ‘talk-back’ session with the actors and director. The discussion went deeper than a simple exploration of the theme or the ‘take-away’ from the play. Participants were able to share their own stories in a safe space. In these discussions some participants had positive experiences with police while others had negative ones. For Constable Chris Robert, a community police officer working in Lawrence Heights, seeing the play and participating in the discussion was a moving experience. “The play humanized everybody. The subject matter was very relevant regarding mental illness and an accurate reflection of what we go through on a daily basis. I walked away with a lot of things. I understood about interacting and being part of the community, instead of policing it. It gave me insight about empathy. It’s important to be conscious of the effect we have on people. We asked a group of people to cross bridges to another part of the city, into the theatre, across the barrier between audience and actors, and between the many roles they play in their own lives. We learned that we are all more than the sum of our separate roles and we have the capacity to connect in deeper ways. Going well beyond an ordinary field trip, this experience became a bridge itself, a passage towards understanding and human connection. Art Starts is a non-profit organization that has been bringing professional artists and under-served communities together in community-building arts programs for over 20 years. They are the winners of Toronto Arts Foundation’s 2013 Arts for Youth Award. Platform A is a collaborative pilot project of the Toronto Arts Council and four of Toronto’s leading organizations in community-engaged arts: Art Starts, AFCY, Jumblies and SKETCH. The aim of the Platform A initiative is to fuse the strengths and experiences of the four organizations to support a shared vision of high-quality community arts practice and to provide increased opportunities and access to the arts for youth and communities. The project creates new opportunities through shared platforms, mentorships, organizational bridge building, and micro-grants.